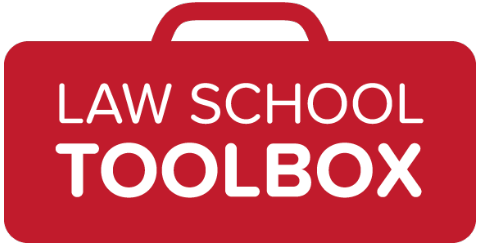 Today, we’re talking with Velocity LSAT, an all-online model that enables you to study wherever you like. 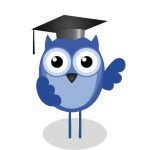 Could you talk a bit about Velocity LSAT: What’s your philosophy? What type of instruction do you offer? How are you different from other LSAT prep courses? Velocity LSAT is online video instruction, which makes our course very flexible and easily repeatable. Our video library contains roughly 600 video clips covering every concept needed for success, and every single kind of question the the LSAT asks. 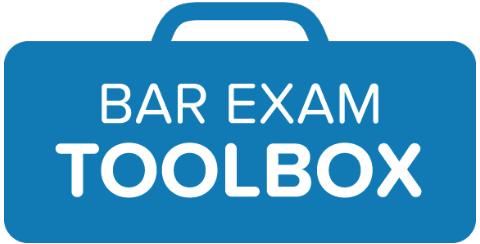 It’s a comprehensive investigation into the LSAT, and our video lessons give detailed, specific instructions for how to kick this test in the nuts. I love this model because it gives you the freedom to prepare on your own terms anywhere in the world, any time of day. You get to decide which videos you want to watch, and you choose when — and in what order — to watch them. In other words, our course lets you prepare by yourself, but not alone. I’d say there are four core principles that set us apart from the rest of a crowded marketplace (these are in addition, of course, to our commitment to freaky dance moves, which is ongoing, and — luckily for Earth — free of charge). General awesomeness. Look, we won’t claim that we’re the only prep company that can help you succeed — there are a handful of other good options in this overcrowded space — but we do have a pretty astonishing track record, and some really devoted fans. This is a direct result of our experience with the LSAT and our ability to translate that experience into a series of actionable steps that just about anybody can execute. We’re about discerning and applying patterns, and we value recognition over analysis: if you can recognize an answer by type instead of having to work it out fresh with every new problem, your work will be more efficient and more effective. Transparency. You don’t have to take our word for it: You can see for yourself whether we’re a good fit for you. We’ve posted dozens of free video lessons at our site so you can see whether our teaching style is clear and actionable for you. You don’t have to guess whether or not we’re any good at this; you can decide for yourself, for free. Responsiveness. If you want guidance, we’ve got it: we’ve set up daily calendars that tell you exactly what to do each day between now and your test, whether you’ve got 16 weeks until test day or only two. Plus, at every step, we’re available to answer questions; we have a Forum at our site where you can ask us about anything you need help with and get an answer back fast via twice-weekly video answer sessions. Price sensitivity. We wanted our course to cost less, because we don’t think it’s fair that only rich people should access the best test preparation. But the lower cost doesn’t mean anything unless the course is also better. We believe our course is the best in the business. We think you’ll agree with us, but we want you to make that decision on the merits, not just on our word (see? This brings us back to that whole “transparency” + “general awesomeness” thing again!). Finally, we’d put it this way: If you have the opportunity to work with a guy who knows the LSAT better than the other guys, and if you can do that for less money than the other guys… Well, why wouldn’t you? What type of student is most likely to benefit from taking a Velocity LSAT course? Our course is best for the highly-motivated student. All the lesson plans in the world — all the day-by-day study calendars and prep guides and review tests and structure and suggested study habits that we offer — do you absolutely no good if you don’t use them. We’ve got everything you need to do well on the test, but you have to bring the work ethic. We’re kind of like a well-stocked gym in that way: all the weights and regimens and scales for tracking your progress are great, but totally worthless if you don’t show up ready to work. Um, people who want to get low LSAT scores? Because, you know, we like to get high LSAT scores. Seriously, we’re probably not a good fit for the lazy tester. Our whole model predicates your success on your own application of the rigorous, in-depth training you’ll get from our video lessons. If you want to be spoon-fed while lounging on a divan, that’s totally cool with us, but we can’t do that for you. How’s my instructor? Easily the most important question to ask. The reputation of the company is meaningless if you don’t get a teacher at the front of the room who knows her stuff and can explain it in ways you can understand. Really, almost nothing else matters nowadays — every course option is going to come with only real LSAT questions, every option will include hours upon hours of instruction. But the best pedagogy on earth will fail if delivered by an incompetent teacher, and even a course that’s intellectually weaker than ours can be successful in the hands of a great teacher. You see how this gets back again to our commitment to transparency? It’s important that you know what you’re getting into. It’s the whole ball game. You can totally prepare while doing school or work! Most people need 10-12 weeks to be ready. Usually, it’s about a 10-hour/week commitment: 1 to 2 hours every day spent in thorough, reflective study. Think about the way that you’ve learned to get good at anything else you’ve done — hard work and smart practice. Expect to put in real effort if you want to succeed at this. Anticipate that you can probably benefit from a good coach. Know that you’ll have to do organized review in order to grow. Don’t just take practice tests — try instead to gain mastery of each individual question type. This will give shape and focus to your prep. In order to be fast for test day, you’ll need to be good at what you do. (Really more of number 2) Pattern recognition is key. For example, there’s just not enough time in a Logical Reasoning section for a normal human to analyze every argument. Instead, we’ve figured out how LR passages are related to others by kind. That way, you get to recognize answers rather than having to synthesize them anew for every question you work. OK, I know we cheated; that first one was, like, 6 tips squished together or something. Sorry. We’ll forgive you! Thanks for all the great information. Want to know more about Velocity LSAT? Find out more at the Velocity LSAT website, or check them out on Facebook, Twitter, YouTube, or iTunes. Thinking about applying to law school? Be sure you’re on our weekly mailing list, so you can get all the info you need for a successful application! Sign up here. And check out Applying to Law School 101 for tips on all the pieces of your application, and Should I Go? to figure out if law school’s really the right choice for you!